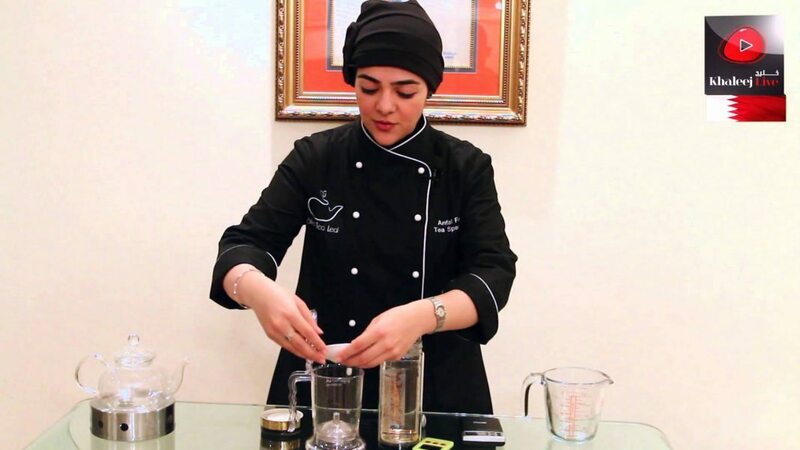 The first ‘Tea Specialist’ in the Middle East, hailing from The World Tea Academy and the founder of Silver Tea Leaf, Anfal Fekri is the kind of person who will not settle for something that is deemed to be mediocre or even impossible. The BTW team stole a few minutes with this busy lady to chat about her journey to change the way society today drinks tea. You may have had to answer this question many times, but tell us; why tea? Yes, I do get this question a lot. There were many reasons that drove me to actually invest my efforts and education in tea. I have been raised in a culture that drinks tea. Since I was young, I used to see my parents and grandparents drink their tea in the morning, afternoon and during visits from family and friends. Back in those days, black tea and black tea with milk were the most popular drinks when it came to tea. Since the past 6 years or so, I have been crazily addicted to tea and herbal infusions. I used to be a much stressed person, who never had a moment to calm down and also, I used to get very distracted from what I am supposed to do. Drinking tea helped me have better focus in what I do and also cleared my head from all the stress and allowed me to think straight. Finally, and the most important reason is, whenever I would visit a fancy place to have some tea, I used to get disappointed with how the tea tasted. I feel that such a precious botanic that changed the world is given very minimal attention. It is generally treated as a mass production product, where only the leaves and hot water are added in, without taking into consideration the other aspects like the water temperature, measurements and steeping time. And these elements can have a dramatic impact on the taste of the cup of tea we consume. Tell us more about Silver Tea Leaf. Since I was young, I have always dreamt of leading and managing my own enterprise that not only delivers a service but a strong lasting value to clients. Silver Tea Leaf was officially initiated in December 2014. The idea was first to sell tea on an online platform back in August 2013, but the outcome of my research at that time was that people preferred to try their teas and would not risk ordering them online. The idea developed into establishing a teahouse where the whole atmosphere is designed to serve an exotic experience and taste of tea, but the problem was – what would make that cup of tea taste different from other cups of tea? And why enter the market as a competitor to those who could offer the same product and service as I do? This question was the main source that led to the birth of the idea of establishing Silver Tea Leaf, where we offer consultation and training services to hotels and restaurants serving tea. Our vision at Silver Tea Leaf is: “To change the world one tea cup at a time”. This statement is our guide for where we want to reach with tea, and how we would want to make that cup of tea taste better than it is right now. when it comes to tea? Generally speaking, there is no awareness or focus when it comes to preparing and serving the tea. Usually the focus is on the atmosphere while the product itself is not given great attention, where it is believed that tea is simply adding dry leaves into hot water. We have conducted a field research on around 9 places that serve tea of a high standard and evaluated many aspects. One example would be: How is the tea generally served and how knowledgeable is the server when it comes to taking the order? Out of the 9 places that serve high standard tea, only some took consideration to infuse the tea for the right amount of time. But on the other hand, there were barely a few servers that had a good understanding of tea. We want to work closely with all hotels and restaurants that serve tea to raise the standard of how that cup of tea should taste. What is the importance of a tea consultant in the hospitality sector, especially in Bahrain? It is very important to have an external opinion from an expert in the field in any operation. When it comes to tea and herbal infusions, they should be treated with care and delicacy. So sometimes you can see that tea is served using the right measurement for the pot, but using the wrong water temperature can destroy the beverage or perhaps steeping tea for longer than required ends up making the tea very bitter, which then covers all the other flavours in the tea. The consultation and training services that are offered assure to customize the service to suit the client’s needs as much as possible, and also provide them with a do-able solution that suits their capabilities and the desired experience that they wish to deliver to their customers. What is the potential of the development of tea preparation and serving in the hospitality industry? It is a wide ocean of development potentials, I would have to say! Depending on the client’s objective and the target they wish to pursue, we can provide them with the basic knowledge and training on what the elements of preparing the right cup of tea are, to more sophisticated trainings to make that cup of tea very special. Clients can request to match their food with tea or perhaps enhance their dishes by adding tea into it. Furthermore, we can also help the client implement certain tea cultures or traditions that would provide a wonderful experience to their customers. Last but not least, we should be the pioneers in assuring that we enhance the standard and quality of tea. How do you think society today has accepted the importance of a good cup of tea? Tea is integrated into many cultures around the world. Tea has been consumed for more than 4000 years now, and since that time, those who have consumed it have understood the value that tea brings to them. Today tea is widely available to people, and it has become an important beverage to consume on a daily basis. On one hand, the fact that tea is widely consumed, would perhaps give lower appreciation to its consumers. On the other hand, people have started to be more aware of tea, where they dare to try different kinds of tea like white tea and oolong tea and they do appreciate a good cup of tea. As a result, the hospitality sector should adopt enhancing that tea experience for their customers to allow them to fully enjoy it. Finally, your tip for a good cup of tea for our readers! I always advise tea enthusiasts to be very careful with water temperature when preparing tea. Make sure that light teas like green and white tea get to be 80˚C or below as a general rule (of course it would change from one kind to another to obtain the optimum flavour and aroma), since adding boiling water to such a delicate tea can destroy it. And finally, spare 5 or 10 minutes though out your day to only drink tea, without distracting yourself with other things, to make sure you enjoy the beverage fully and get all the benefits out of it. A cup of tea can change the world, and the world can only change if we change ourselves.